Clear Lucite, 2-piece hinged assembly with spring-loaded plunger lock, clear adhesive handing securely blocks door in closed or ventilating position. No tools needed to install. Inconspicuous when installed. 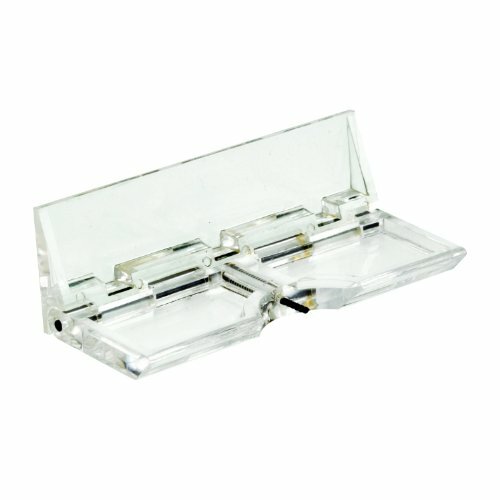 Mounts to glass surface of stationary glass panel. 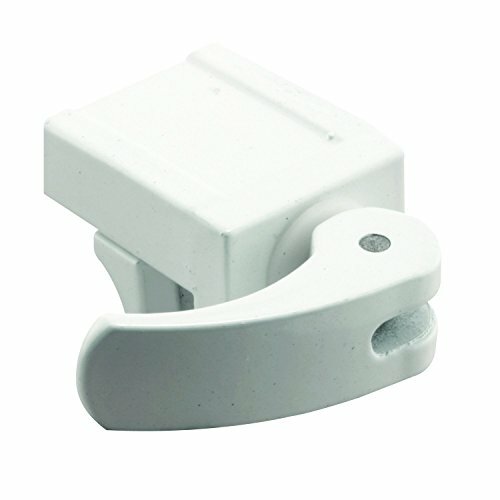 Keep your windows securely closed and safe with these U 9809 Sliding Window Locks for Vinyl Windows. The locks feature an adjustable jaw that has a “vise-like” grip, and they are capable of opening up to ½” wide. Use them to prevent unwanted intruders from breaking into windows or to prevent accidental falls. These locks are designed for use on horizontal vinyl sliding windows, although they may also work with some vertical sliding (single hung) windows. Installation is quick and easy with no tools required – a more secure window is just minutes away! When installing this lock, the cam style locking lever should be rotated hand-tight over the rail or vinyl edge to a sufficient torque prior to locking down the lever. This lock can be adjusted to fit on rail thicknesses ranging from 1/16 in. to 1/2 in. thick. 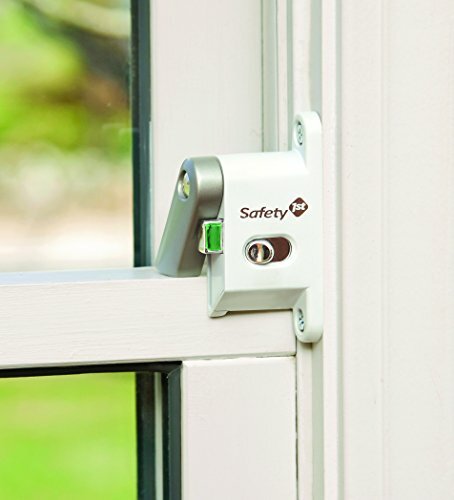 This sliding window lock can be used as a secondary lock when window is shut and to secure the windows during ventilation. For a larger version of this lock (used on vinyl frame patio sliding doors) see model number U 10547. Burglabar is a unique self-locking hinge type lock designed to offer additional security protection for Sliding Patio Doors and Sliding Windows.It installs in seconds and requires no tools. It is made from LEXAN which is a very strong transparent material using a special adhesive that bonds like a weld. Burglabar is the ideal affordable solution that provides you additional locking protection when you are home and for your possessions when you are away. Do the test: If your pinky fits between the two sliding pieces so will the Burglabar ( 3/8" ) The price is for a 6 pk. Please read and follow the installation instructions. Burglabar is a unique self-locking hinge type lock designed to offer additional security protection for Sliding Patio Doors and Sliding Windows.It installs in seconds and requires no tools. It is made from LEXAN which is a very strong transparent material using a special adhesive that bonds like a weld. Burglabar is the ideal affordable solution that provides you additional locking protection when you are home and for your possessions when you are away. Do the test: If your pinky fits between the two sliding pieces so will the Burglabar ( 3/8" ) The price is for a 2 pk. Please read and follow the installation instructions. 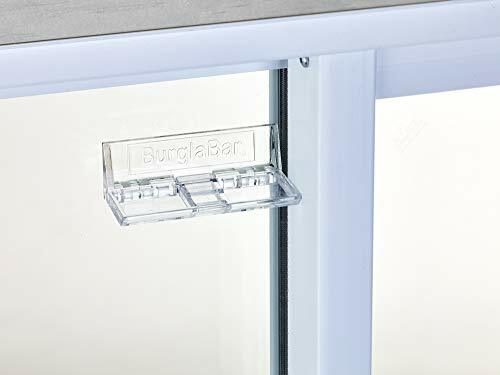 Burglabar is a unique self-locking hinge type lock designed to offer additional security protection for Sliding Patio Doors and Sliding Windows.It installs in seconds and requires no tools. It is made from LEXAN which is a very strong transparent material using a special adhesive that bonds like a weld. Burglabar is the ideal affordable solution that provides you additional locking protection when you are home and for your possessions when you are away. Do the test: If your pinky fits between the two sliding pieces so will the Burglabar ( 3/8" ) The price is per piece. Please read and follow the installation instructions. Burglabar is a unique self-locking hinge type lock designed to offer additional security protection for Sliding Patio Doors and Sliding Windows.It installs in seconds and requires no tools. It is made from LEXAN which is a very strong transparent material using a special adhesive that bonds like a weld. Burglabar is the ideal affordable solution that provides you additional locking protection when you are home and for your possessions when you are away. Do the test: If your pinky fits between the two sliding pieces so will the Burglabar ( 3/8" ) The price is for a 4 pk. Please read and follow the installation instructions. 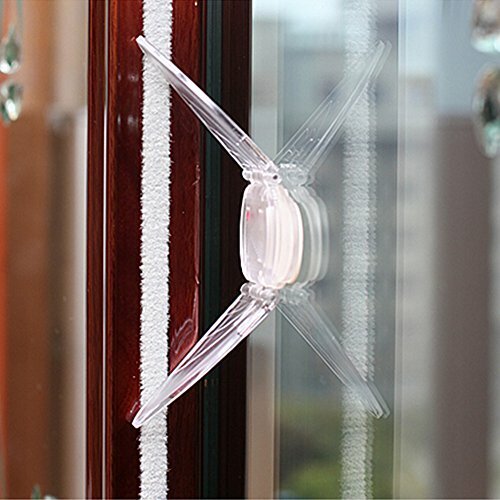 This patio door lock is constructed from clear acrylic. It features an adhesive backing that secures the lock to a glass surface. It has a spring loaded lock pin that blocks your door from moving when open. You will receive : one sliding door lock NOTE: For Child Safety,this product is a deterrent, not a substitute for proper adult supervision. Discontinue use when child becomes old enough to defeat product. Benefits: Works perfectly on our sliding closet doors,windows,glass, mirrored or laminate. It can effectively prevent the baby open mobile doors and Windows, giving the baby a relatively safe environment.